Road Textures v1.1. Replacement highway and roads textures. Includes three levels of quality in two variations. By Aime Leclercq. You can chose between 3 quality of textures in 2 variation (with or without cars textures). Chose with or without cars textures, chose resolution of road (7cm/pix, 15cm/pix, 30cm/pix) and open the folder. Copy and past the folder "scenery" in the main folder of FSX, that all. 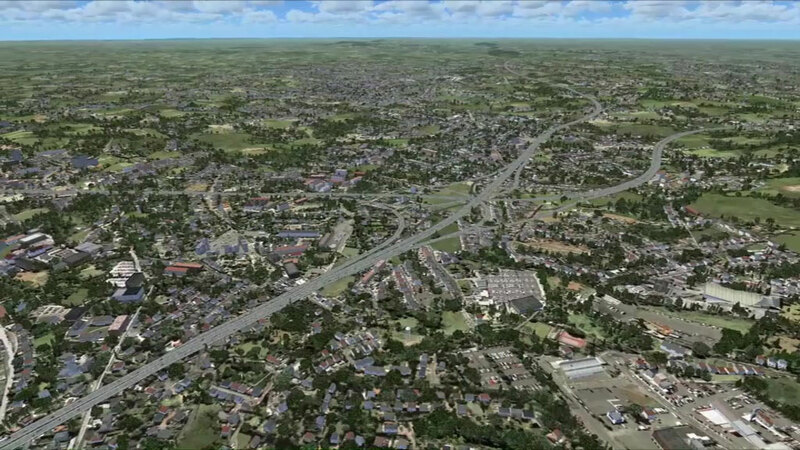 Open the "Default" folder, copy and past the folder "scenery" in the main FSX folder. NB: it's the default textures of FSX. If you use the textures from an other addon, you must re-install it. The archive road_v11.zip has 85 files and directories contained within it. Hi guys. I've followed your instructions to the letter but i still don't get anything like the images shown. It still looks like the fsx default. Please help only they look fantastic..
Great free add on. Thanks for doing this. It really enhances the realism in FSX Steam. Quite a difference in the road textures. If you have FSX, you need to get this. This seems to be the solution - choose your 4 files and copy them into the FSX Scenery/World/Texture folder. Save the originals if you don't want to lose them by over-writing with the new files. Hope this helps. Also, I found that the files without cars work better because if you choose with cars, the cars don't move. I am confused by your instructions. If I copy and paste the folder "scenery" into my main folder, won't that over wright my "scenery" folder? I do not want to do that correct? Because the default scenery folder contains a lot of other textures and stuff for other things , correct?